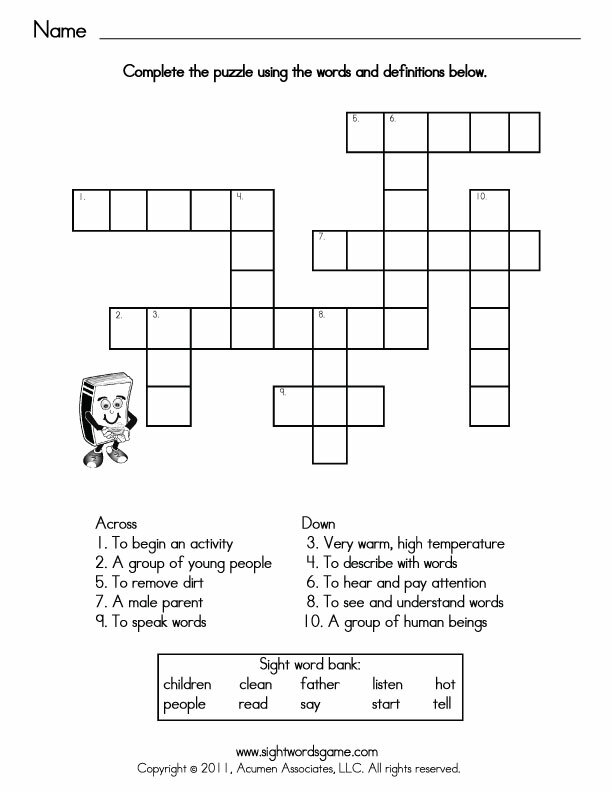 Sight word crossword puzzles are fun games that help a child not only recognize high frequency words but also assists in understanding each words meaning. This activity provides the perfect sight word review, offering a challenging yet fun exercise. Sight word crossword puzzles are a very affordable game that can be quickly created using a piece of paper, pen and some creativity. You could also use our puzzles which are included below. Using Fry, Dolch and MCPS sight word lists, we carefully selected challenging words. Please note we included some common nouns as well as phonically irregular words, e.g. change. The above crossword puzzles may be challenging for some children. If your child is an emergent reader and just beginning to develop a sight word vocabulary, please visit our sight word games. We offer numerous games designed to assist a child in automatically recognizing high frequency words.